Have Fun in The Great Outdoors! Win Prizes! Nature Quest is a great opportunity to get friends and families together for an adventure in the great outdoors! You can bike, hike, or canoe on designated trails to complete your Quest and earn fun prizes. Trail markers can be found at Lake Roland, Benjamin Banneker Park, Cromwell Valley Park, Oregon Ridge Park, Honeygo Run Regional Park, Maryland Center for Agriculture & Farm Park, Marshy Point Park, Red Run Stream Valley Trail, and Fort Howard Park. Start your adventure by picking up a Nature Quest Passport at one of the participating parks, your local Wegmans grocery store, or online. 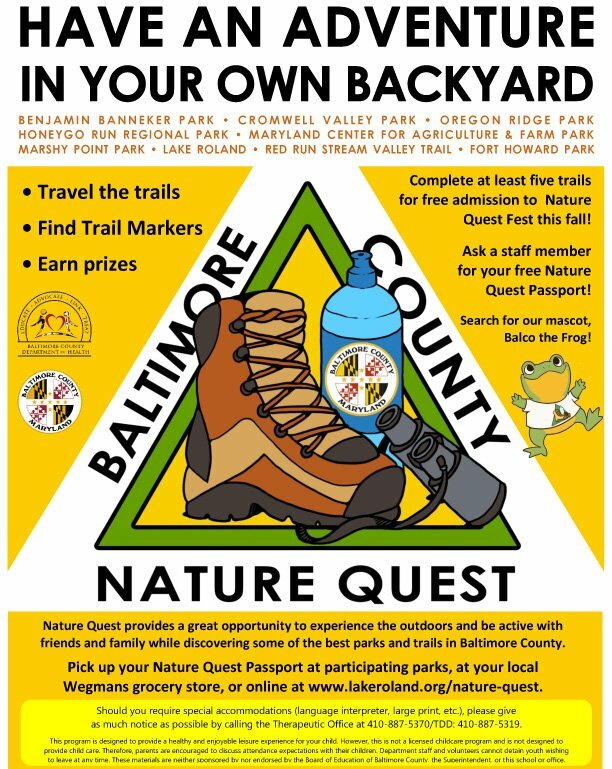 Nature Quest is ongoing, but questers who complete at least five trails each year receive free admission to that year’s Quest Fest and are entered into raffles for great prizes. For more details or to download a Passport, go to: lakeroland.org/nature-quest. Get your Passport booklet. 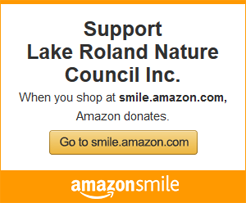 Pick up a Nature Quest booklet from your local Wegmans store, at participating parks, or here. Start hiking. Take your booklet and a pencil or crayon and head out on the trails. Record your progress by making a rubbing, with a pencil or crayon, of the trail marker located on each trail in the booklet. Collect your prizes. Prizes are awarded after accumulating rubbings from at least five of the trails and can be picked up at any of the participating parks. In addition to the prizes, questers who complete five or more trails also receive free admission to Nature Quest Fest. Questers who complete nine or more trails will be entered into drawings for great prizes.